Courtesy of Emile RatelbandEmile Ratelband is 69. But he wants to legally subtract 20 years from his life. Emile Ratelband is asking a Dutch court to allow him to shave 20 years off his legal age. Ratelband argues that he should be able to have an age that’s as young as he feels. But he doesn’t think the privilege should extend to people who feel older than their age. A decision in the case is expected on Monday. Ratelband’s lawyer thinks he has about a 30% chance of winning. Age ain’t nothing but a number, but it’s not a number we can simply change as we see fit. Emile Ratelband, a 69-year-old Dutch motivational speaker and author, doesn’t see it that way. Ratelband is seeking to legally change his age to be 20 years younger than what his birth certificate says. He believes that if he feels like he’s in his 40s, he should be able to alter his official age to reflect that. The Netherlands government doesn’t allow such a move. So Ratelband is suing, and asking a court in the Dutch town of Arnhem to consider his case. The Dutchman said he feels “condemned” by his elderly status and wants society to recognise the age he feels is most appropriate. 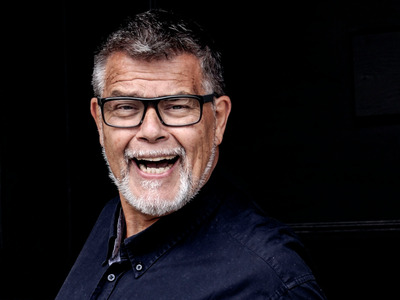 Ratelband argues that his age brings some unfair constraints, since being classified as a sexagenarian makes it harder for him to live an active, youthful life. It’s harder for older folks to get a mortgage, Ratelband said, and near impossible to get work. He could avoid age-related discrimination, he claims, if his numbered years better aligned with the way he feels. A Dutch court is set to announce its decision in his case on Monday. It’s not uncommon for people whose livelihoods have age restrictions to claim they’re older or younger than they really are. Actors, actresses, gymnasts and footballers have all tried to obscure their ages to qualify for competition or to save face in a culture that cares (perhaps too much) about age. “I don’t drink coffee or tea, no alcohol, no smoking, no drugs, no dairy products, no meat,” he said, adding that he takes a cold bath to wake up in the morning (a practice Silicon Valley biohackers are also embracing). He also argues that the world has changed as he’s aged – we now live in an era of joint replacements, Botox injections, and smartphones. Ratelband thinks this progress helps us feel younger and sharper, something that should be reflected in our ages. “In Europe, they’re very old fashioned, and they’re not used to change,” he said. Ratelband is even ready to give up his €1,500 Euro monthly pension in return for 20 years off his official age. But there is some merit to the idea that ageing doesn’t always march forward in a linear fashion. Earthlings haven’t always aged. The earliest life forms on the planet were single-celled microbes that didn’t breathe or grow old. They only got killed off by illness or injury. The same is true of some endlessly replicating cancer cells, such as those of cancer patient Henrietta Lacks. Scientists have studied those cells for decades, and still use them in research today. Although humans can’t live forever, they have demonstrably slowed down their biological ageing processes by eating better, exercising, meditating, and maintaining community ties with family, friends, and spouses. Scientists think part of the way this works is by helping maintain the health of our chromosomes. At the same time, as healthcare and sanitation conditions improve around the world, people are living longer, healthier lives than before through science and technology. Data shows that as people gain access to better toilets and vaccines, their life expectancy soars. Some studies have also shown that getting old is about more than the passing of time. Harvard psychologist Ellen Langer discovered that by putting men in their 70s into an environment that felt like it was frozen 20 years in the past, she could improve their “physical strength, manual dexterity, gait, posture, perception, memory, cognition, taste sensitivity, hearing, and vision,” in just one week. Those studies on ageing suggest that the power of perception isn’t something to be brushed aside when talking about longevity. At its simplest, Ratelband’s argument can logically be reduced to: I feel young, therefore, I am young. Troublingly, he has likened this fight to change his age to the transgender movement. That comparison is problematic and caused offence – trans writer Shon Faye called it pure “nonsense” in The Guardian. But there are other flaws in Ratelband’s logic. According to his concept of age, shouldn’t an especially astute, learned, and mature child be able to assert that they are older than their birth years? Ratelband balked at that notion. Ratelband simply replied that his parents are dead, as if no one should care that he might erase some history if those who’ve seen it are already gone. Courtesy of Emile RatelbandRatelband once tried (unsuccessfully) to form his own far-right political party in the Netherlands. 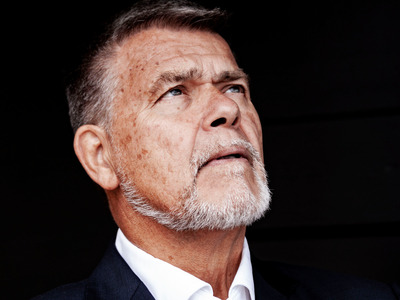 Ratelband thinks of his case as something of a “pre-cursor” to a future ageing crisis and considers himself an age crusader. But changes in how we define age are nothing new. One wouldn’t expect people today to die of old age in their 30s, as many did in the middle ages. And while the US birth rate fell overall last year, it rose 2% among women between the ages of 40 and 44, and 3% for those from 45 to 49 – a change that would have been inconcievable in decades past. Even Thomas Jefferson grappled with this idea. “I have observed, that at whatever age, or in whatever form, we have known a person of old so we believe him to continue indefinitely, unchanged by time or decay,” he wrote from Monticello in 1826. Of course, that’s not always the way the world works. Age discrimination has been shown to have a detrimental effect on health care, employment, and, yes, even dating prospects. Ratelband, who tried to have his eighth child using a surrogate earlier this year, jokes that’s been a problem for him. As far as his case is concerned, Ratelband’s lawyer expects that he has about a 70% chance of losing. Whatever the outcome, both sides have said they plan to file an appeal in this fight for the ages.